These terms and conditions (“Terms and Conditions“) govern the use of this website provided by Hedge Lists and the Service (as hereinafter defined) by the person who uses the Service, having signed up for and/or purchased the Service (the “User“), and the company or other organization with or for whom the User works is affiliated or employed, and for which the User’s use of the Service relates (the “Client Organization”) (hereinafter together termed the “Client“). The Service refers to both paid and free versions or portions of the site. Use of this website constitutes the Client’s acceptance of these Terms and Conditions and acceptance takes effect immediately on first use of the Service. Acceptance of these Terms and Conditions constitutes full acceptance of all these Terms and Conditions, and agreement to be bound thereby. Hedge Lists reserves the right to amend these Terms and Conditions at any time and the Clients continued use of the service implies consent to any updated Terms and Conditions. Hedge Lists hereby agrees to furnish the Client and the Client hereby agrees to license and utilize this online service from Hedge Lists (the “Service”) only in accordance with these Terms and Conditions. The Service consists of any and all information made available to the Client on Hedge Listsí website. The Agreement and any modification thereto shall be governed and construed under the laws of the United States. The Client agrees to the exclusive jurisdiction of the United States courts. 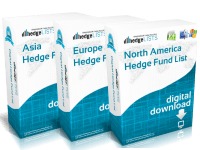 Hedge Lists grants the User a limited, non-exclusive, non-transferable license to access and utilize the website solely for its own internal or personal purposes. The User agrees not to copy the data in whole or in part, for the purpose of publishing the information, reselling the information or for retaining a local copy of the data to use as an in-house data source or to further populate an existing in-house database, including but not limited to contact and e-mail lists. The use of any content available on Hedge Lists.com must be in accordance with the Terms and Conditions. The Service is for information purposes only and does not constitute and should not be construed as a solicitation or offer, or recommendation to acquire or dispose of any investment or to engage in any other transaction, or advice of any nature whatsoever. If the Client seeks advice rather than information it should seek an independent advisor and hereby agrees that it will not hold Hedge Lists responsible in law or equity for any decisions of whatsoever nature the Client makes or refrains from making following its use of the Service. While Hedge Lists uses reasonable efforts to obtain information from sources which it believes to be reliable, Hedge Lists makes no representation or warranty that the information or opinions contained in the Website are accurate, reliable, up-to-date or complete. The Client acknowledges that Hedge Lists has used a variety of public and other sources to create the Service, and that if the Client believes that any of the information contained therein is inaccurate or misrepresented, the Client will bring this to the notice of Hedge Lists, provide information to assist Hedge Lists in correcting any such deficiencies or errors, and that the Client will take no further action in law or equity with respect to such inaccurate or misrepresented information or the Client’s belief thereof. The Client further agrees that Hedge Lists will attempt to rectify such errors in good faith, and that such action will be deemed to fulfill Hedge Listsí and its agents’ obligations to the Client. 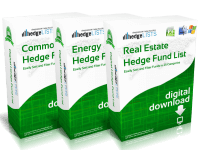 The information and opinions contained in the website are provided by Hedge Lists for the Client’s personal use and informational purposes only and are subject to change without notice. Nothing in the Service constitutes, and nor should it be construed as, investment, legal, tax or other professional advice and it should not be relied on in making an investment or any other decision. 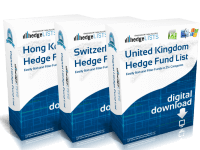 Hedge Lists does not provide investment advice and no portion of the data provided should be used for making investment decisions. The Client should obtain relevant and specific professional advice before making any investment decision. Except as expressly permitted hereunder, the Client may not duplicate or redistribute any Data obtained from Hedge Lists into hard copy, machine readable formats, or any other form without written authorization from Hedge Lists. The Client will not publish, resell or disclose any Data. The Client also agrees not to download, nor knowingly permit any third party, to download Data onto computers, discs, diskettes, or any other media other than into temporary storage for printing purposes, except as specifically authorized in the Download Agreement. In the event of a suspected breach or violation of any of the foregoing conditions, or in the event the Client becomes aware of a threat to any Hedge Lists copyright, the Client shall cooperate with Hedge Lists to protect Hedge Lists copyrights by assisting in identifying to whom copies of such Data have been supplied. The Client agrees to install proper safeguards to protect the data from malicious use. Futhermore, the Client recognizes that data may contain personal information and that data must be used in accordance with GDPR and other applicable local and regional privacy laws and protections. The Service may include a facility to enable the Client to download listings in spreadsheet or other format of information related to the financial firms and people included in the Service, either including or excluding address, and e-mail information. The data and information derived from such data downloads is for use exclusively by the Client, and may not be disclosed, transmitted or passed to any third party without the prior written approval of Hedge Lists. Furthermore, the data and information derived from such data downloads may not be used by the Client for the purposes of mass mailing or e-mailing, taken here to mean the sending of either letters or e-mails of essentially the same content to more than fifty separate recipients within any calendar month, without the prior written approval of Hedge Lists. The User acknowledges that the Service and any data contained therein including, but not limited to, names, addresses, phone/fax, and e-mails are strictly for personal or internal business use and may not be used for mass mailings as described above. The Client undertakes not to copy and not to modify the Service in whole or in part, nor commercially to exploit the same, and that it will not disclose any Data received by it through its use of the Service to any third party outside the Client’s organization. Usernames and passwords are personal to the individual User, and multiple Users within a single Client Organization will each require an individual username and password. The Client undertakes not to reveal the Client’s username or password to any other person (either body corporate or natural) and acknowledges that any breach of security resulting in the use of its username and/or password by any third party constitutes material breach of the terms of the Agreement. The Client further acknowledges that the Client will be liable, and Hedge Lists will be entitled, to proportionate compensation from the Client, therefore: such compensation in all cases will exceed the subscription fee that would, ceteris paribus, apply to the use of the Service by such third party or third parties. The Client hereby agrees that Hedge Lists may adjust the Data in a manner that will allow Hedge Lists to uniquely identify Data provided to the subscriber. The Client accepts that this is a legitimate security precaution on the part of Hedge Lists, and accepts further that in the event that any third party has access to Data that can be identified as having the Client’s unique adjustments, a prima facie breach of security and of these Terms and Conditions and the Agreement on the part of the Client may be assumed by Hedge Lists. In the event that the Client suspects that its username or password has become known to any third party, it is the responsibility of the Client to, and the Client undertakes that it will, promptly inform Hedge Lists, change its password, and take all reasonable steps to preserve the secrecy of its new password. Except as expressly permitted hereunder, the Client may not, and hereby agrees that it will not, disseminate the data to other individuals or companies in any manner and will abide by security conditions put in place to ensure the membership is used by only a single user. Clients, users, and firms listed or wishing to be listed by of the Hedge Lists website are invited to contribute data to Hedge Lists. Such data contributions are voluntary, however any Client or user so contributing data acknowledges that, unless a specific written agreement to the contrary has been entered into by Hedge Lists., any data so contributed may be used by Hedge Lists without restriction, other than its usual practice of taking reasonable efforts to ensure that such data is accurate and correct. In submitting such data the Client or user hereby agrees that it does not breach any confidentiality agreement, copyright or intellectual property right (at law or in equity) and acknowledges that Hedge Lists may use such data as Data forming part of the Service and assume copyright thereof. Hedge Lists reserves the right to review or screen Content posted or submitted to the Site and to remove, edit, or refuse to post any Content. The User acknowledges that the data, copyrights, title and other intellectual proprietary rights – including, but not limited to, the search methodologies, search algorithms, data fields, layout of the search results and online demo methodology – shall remain the property of Hedge Lists, a division of The Blue Heron Group LLC. When the Client or User accesses certain links in the Hedge Lists website it may leave the Hedge Lists website. Hedge Lists has not reviewed any of the websites linked to the Hedge Lists website and does not endorse or accept any responsibility for the content of such websites, nor the products or services or other items described on or offered by such websites, nor the data protection practices of or policies on such websites. All risk associated with the Client’s use of links to third-party websites is assumed solely by the client. 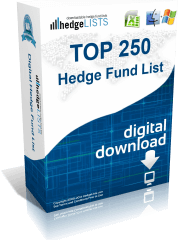 All info provided by Hedge Lists is intended for individual use, and the use of automated software or programs (colloquially referred to as web crawlers’ or robots’) to access the Service and download large amounts of data is expressly prohibited. The User acknowledges this as a condition of access, and undertakes not to employ such technology to access the service. Use of such software constitutes grounds for Hedge Lists to deny access to the Service and to seek damages. Hedge Lists makes efforts to ensure information in our database is up to date. However, due to the nature of the industry and the breadth of the database, errors may occur. Refunds will be issued at the sole discretion of Hedge Lists and in accordance with our 100% Accuracy Guarantee and Best Price Guarantee included in these Terms. Any refund issued will be limited to the lesser of the price of one purchased list, or $99. If the client purchases multiple lists, either at one time, or as part of multiple purchases, Hedge Lists may refund the purchase price of up to one of those lists, at its sole discretion. While Hedge Lists uses reasonable efforts to prepare and provide the Service to the Client, neither Hedge Lists nor its agent shall be liable for any failure or inability to provide the Service due to any event, condition or circumstances beyond Hedge Lists reasonable control. In providing the Data, Hedge Lists. relies upon sources that it believes to be reasonably accurate, but Client agrees that Hedge Lists cannot and will not verify the accuracy, completeness or timeliness of the Data or any work or product or projections based upon such Data. The User acknowledges that the Data is derived from a variety of public sources and private sources for which the reliability may not be accurately ascertained. The Client acknowledges that any information derived from the Service is intended only for general research purposes and NOT INVESTMENT DECISIONS. Hedge Lists provides to the Client the Service and Data hereunder on an “as is” basis and without warranty of any kind. The Client hereby waives all other warranties either expressed or implied, including but not limited to any implied warranty of merchantability, satisfactory quality, fitness for a particular purpose, security or accuracy, compatibility, non-infringement or otherwise, including time of performance. Hedge Lists does not warrant that the provision of the Service or Data will be uninterrupted or error or virus free, nor do they make any warranties (express or implied) as to any results use of the same. The Client expressly agrees that it uses the Service and Data at its own sole risk. Accordingly, neither Hedge Lists nor its agent nor the Suppliers will in any way be liable to the Client or any other entity for any inaccuracies, errors, omissions, delays, damages, claims, liabilities or losses, regardless of cause, in or arising from the use of the Service or Data, or for any damage or delays to the Client’s hardware, software or data caused by or incidental to the use of the Service. Neither Hedge Lists nor its agents shall be liable for any loss or damage resulting directly or indirectly from mistakes, omissions, interruptions, delays, errors, any act, event, or defect, whether human or mechanical, occurring in the course of furnishing the Service or Data including, but not limited to, computer virus, online failure, failure of performance by third parties, fires, explosions, floods, labor disputes or mechanical breakdown. Notwithstanding the foregoing, if Hedge Lists. and/or its agent is deemed liable to the Client for any reason, whether arising in contract, tort, strict liability or otherwise, Hedge Lists total liability including that of its agent hereunder shall be limited to the lesser of one thousand dollars (USD) or an amount no greater the total subscription costs and fees previously paid by the client to Hedge Lists. Hedge Lists shall not be liable for any special, consequential, exemplary or punitive damages, including, but not limited to, lost profits, whether or not it or they are aware of the possibility thereof. The Client further agrees that no action, regardless of form, arising from or pertaining to the Service or Data may be brought by the Client more than one (1) year after the event giving rise to such action has occurred. It is the Client’s responsibility to review the marketing information and contact HedgeLists if unclear on the information that will be provided. Any refunds issued will be limited to the price paid for one list per client. If the Client purchases multiple lists, either in a single or multiple transactions, any refund issued by HedgeLists will be limited to the price of the least expensive list purchased by the Client. Our 30 Day Best Price Guarantee is as follows: If Client finds a list with substantially similar information within 30 days of purchase, defined to mean 80% of the data is equivalent, HedgeLists will meet or beat that price. The 100% Accuracy Guarantee is defined as follows: If Client finds information to be inaccurate, HedgeLists will issue a refund based on the percentage of information that is found to be inaccurate. It is the Clients responsibility to provide HedgeLists with an accounting of which data points the Client believes to contain errors. All refunds will be issued at the discretion of HedgeLists and must be requested within 30 days of purchase. The Client shall defend, indemnify and keep indemnified and hold Hedge Lists and its agents and Suppliers harmless against any claim, liability, loss, injury, damage, cost or expense (including, but not limited to, reasonable legal fees) incurred by Hedge Lists or its Suppliers arising from the Client’s (or that of any unauthorized user using the Client’s username or password) access or use of the Service, unless such claims or damages result from the gross negligence or willful misconduct of Hedge Lists in providing the Service to the Client.